What classes should you not add to module declarations? We do not declare - Modules, Services, objects, and non-angular helper classes in the module's declarations. Stayed Informed - What Is Modules? 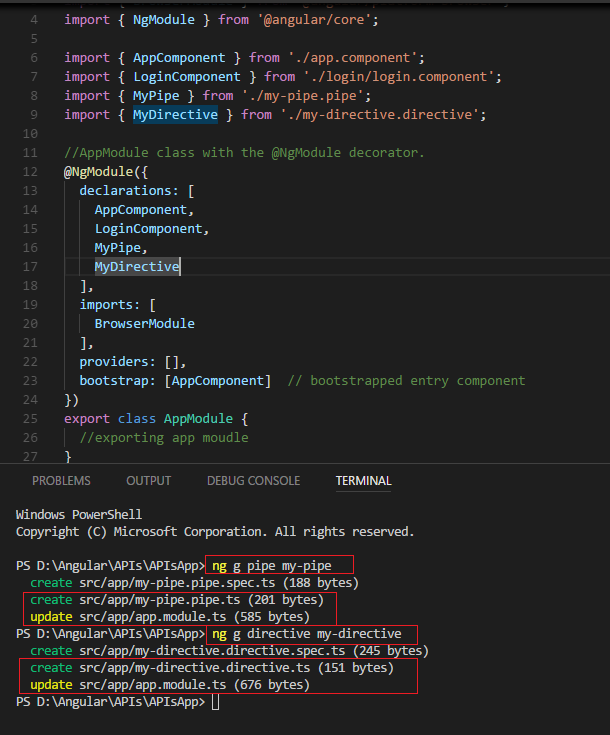 Note - You can use directives, components, and pipes classes in a module declaration. //AppModule class with the @NgModule decorator. You can see in the above example, I have created and declared components, directives and pipes in the @NgModule class using the CLI commands. These CLI commands automatically imported components, directives, and pipes classes inside the module.